Spelling. Are you looking for accordant? 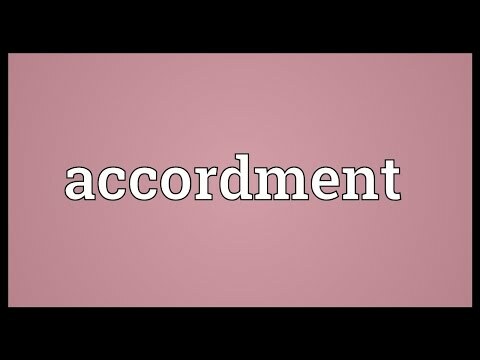 What does Accordment mean as a name of something? Video shows what accordment means. Agreement; reconcilement.. accordment pronunciation. How to pronounce, definition by Wiktionary dictionary. The value of this 10-letter word is 17 points, but it's not an accepted word in the Official Scrabble Players Dictionary. Go to the wordplay of Accordment for some fun with words! This page was last modified on 19 December 2017.